Domestic economic growth accelerated for the sixth consecutive quarter in Q4 – that is if you model the economy like you model companies (i.e. on a YoY basis). 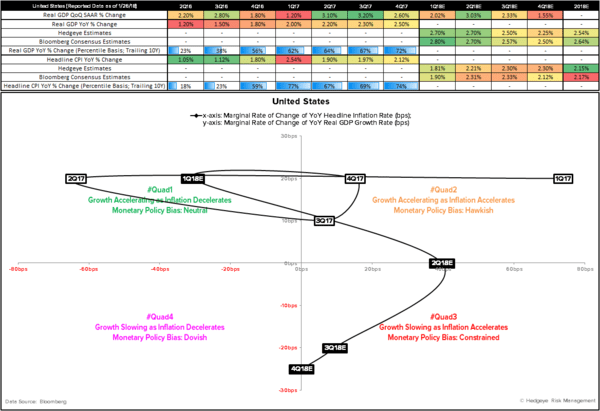 If, however, you model the economy in the same manner Keith and I were taught at Yale, you’re probably feeling a bit whipped around today given the trending #GrowthAccelerating price action across domestic financial markets. 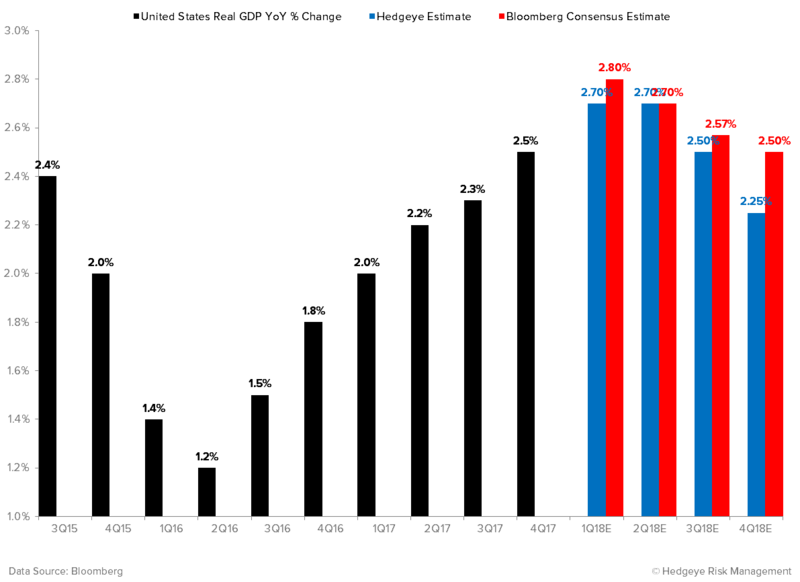 Yesterday @HedgeyeHQ, myself and the other research sector heads presented our Q4 income statements in conjunction with our business planning proposals for the next few quarters. To my knowledge, not one of us presented any of those figures on a quarter-over-quarter-seasonally-adjusted-annualized-rate basis. I’m pretty sure none of you that run real businesses do that either. What we do do @Hedgeye is rate-of-change analysis. Indeed, sequencing the economy from a RoC perspective afford us the opportunity to take advantage of the improvement that Prospect Theory had upon the Efficient Markets Hypothesis in the pricing of asset markets. In short, everything that matters in markets happens at the margins. It’s not that absolute states like “good” or “bad” don’t matter; it’s just that decades of Nobel Prize-wining research suggests transitional states like “better” or “worse” matter more – mostly because us humans have a tendency to project our current states into the future. In short, that is why we side with the market in being more sensitive to YoY (signal) growth rates, not their QoQ SAAR (noise) counterparts. 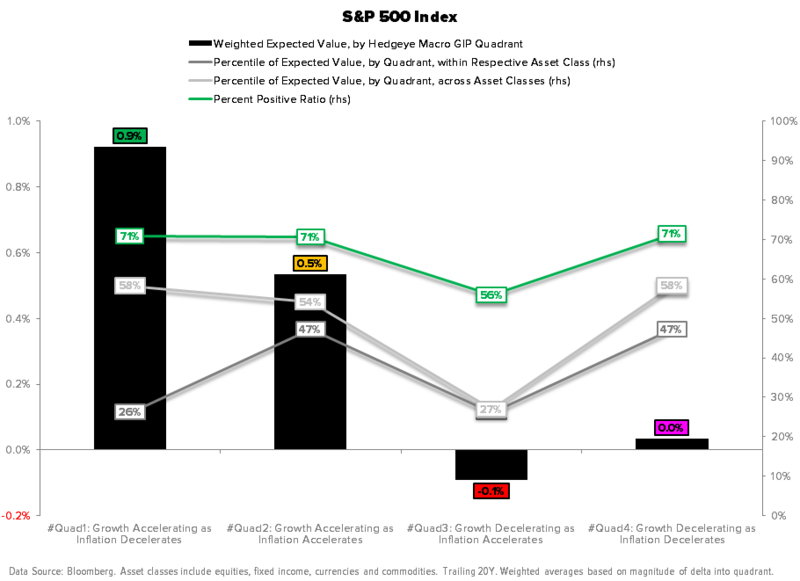 For example, according to our GIP Model backtest analysis, the percent positive ratio of the S&P 500 in #Quad1 is the same as it is in #Quad4 (i.e. 71%) if you sequence the latter variable, not the former. Those figures are 81% and 56% sequencing the YoY growth rate instead. 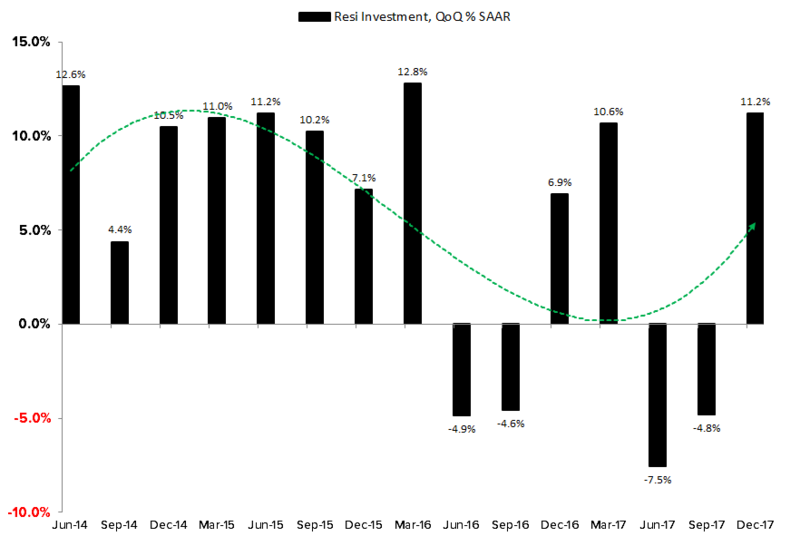 Indeed, the YoY growth rate presents an investable spread in probabilistic risk management terms, while the QoQ SAAR growth rate leaves investors scratching their heads about how best to be positioned in various economic scenarios. After besting both economist consensus and the Atlanta Fed for the better part of the past year in terms of forecast accuracy, the Street got closer to the pin with their forecast of +2.51% YoY/+2.80% QoQ SAAR. We were just inside of the Atlanta Fed’s +2.73% YoY/+3.42% QoQ SAAR forecast at +2.70% YoY/+3.31% QoQ SAAR. 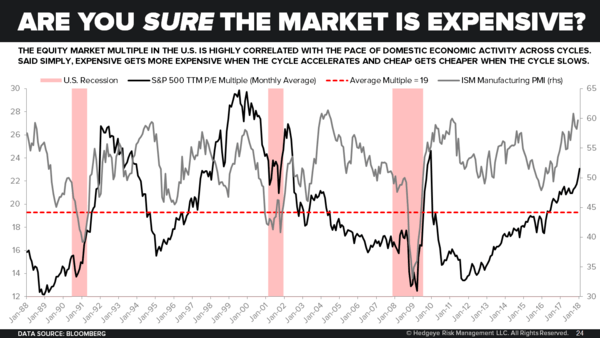 Looking ahead, we now have growth accelerating to a cycle peak of +2.70% YoY for 1H18E before inflecting and trending south through year-end. Obviously tax reform has the potential to perpetuate a decent amount of upside surprise to those figures, but we’re content to remain Bayesian on that front and Nowcast any such surprise in real-time. We’re simply not arrogant enough to tell economic data what it should be doing based on some predetermined ideology. There’s plenty of money to be made in showing up to work every day and sequencing data trends with more analytical rigor than the competition. 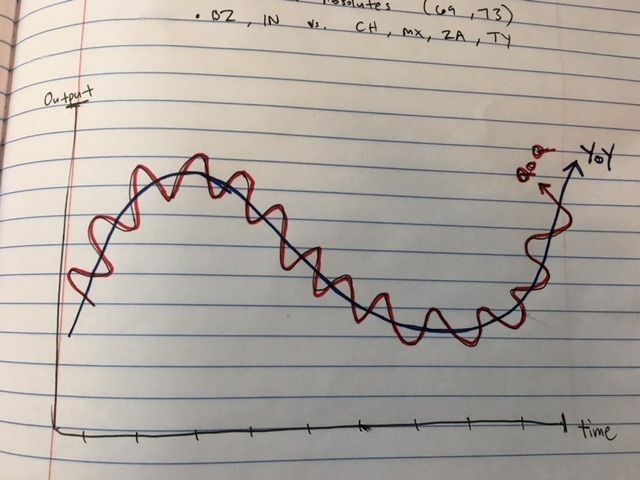 As I referenced in a note to key research partners last night, there is a material risk we’re getting too cute with our admittedly transitory Reflation’s Rollover II theme. There’s also a material risk to investor consensus that we’re actually not – particularly as it relates to extended Treasury net short positioning and the spread between the YTD performance of the Financials and equity bond proxies. 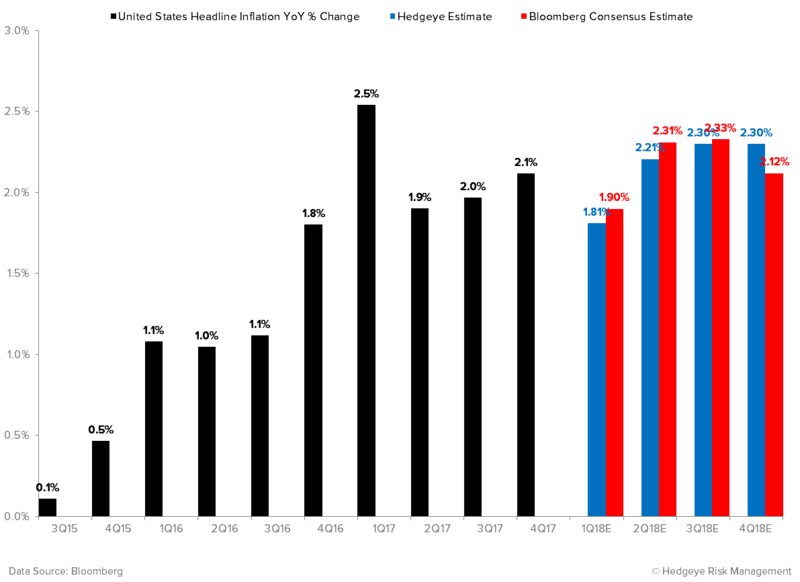 Beyond Q1, however, we’re as bullish on inflation as anyone, which means that Energy and High Beta are likely to continue to work alongside what have been our favorite factor exposures for nearly 15 months now (i.e. 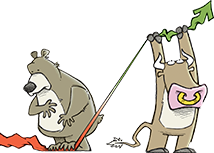 Consumer Discretionary, Tech and Biotech). 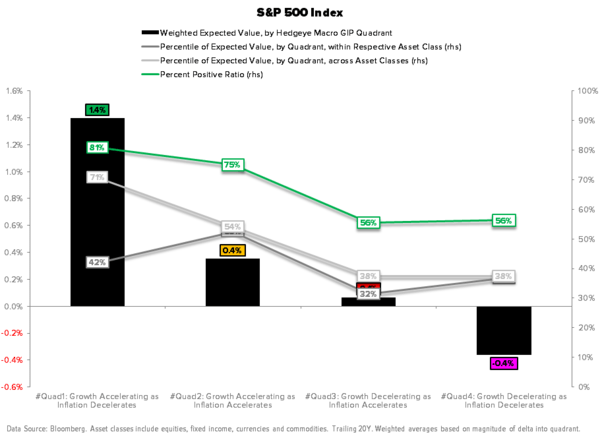 Expensive gets more expensive during periods of #GrowthAccelerating. Remember, valuation is an opinion; rate-of-change accelerations are facts. Our GIP Model is currently calling for a #Quads 1-2-3 setup for the balance of the year, which means that (assuming forecast accuracy) we’ll likely have to book our gains in Growth mid-year and pivot into Energy, REITS and Utes at some point ahead of the Q3 GDP print. 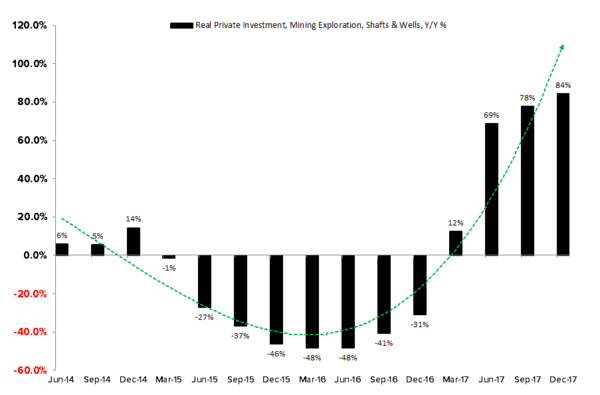 For now, the coast is clear to continue playing upside in the domestic economic cycle. As always, please feel free to email or call with questions. 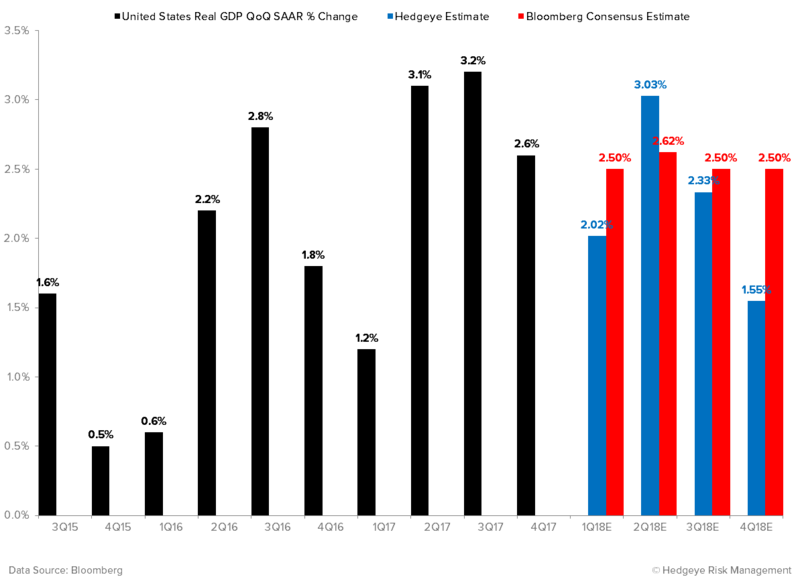 The headline was decidedly underwhelming but, unless you model companies on a QoQ SAAR basis, the year-over-year remains more relevant and, on that score, GDP growth Y/Y accelerated for a 6th consecutive quarter to +2.5% Y/Y. 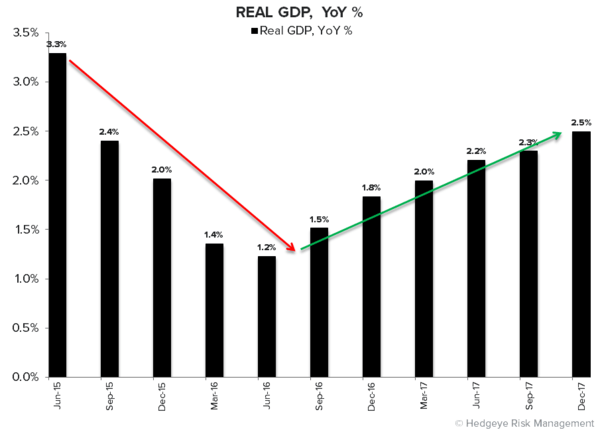 Consumption growth accelerated on the back of rising aggregate hours and accelerating aggregate income growth. 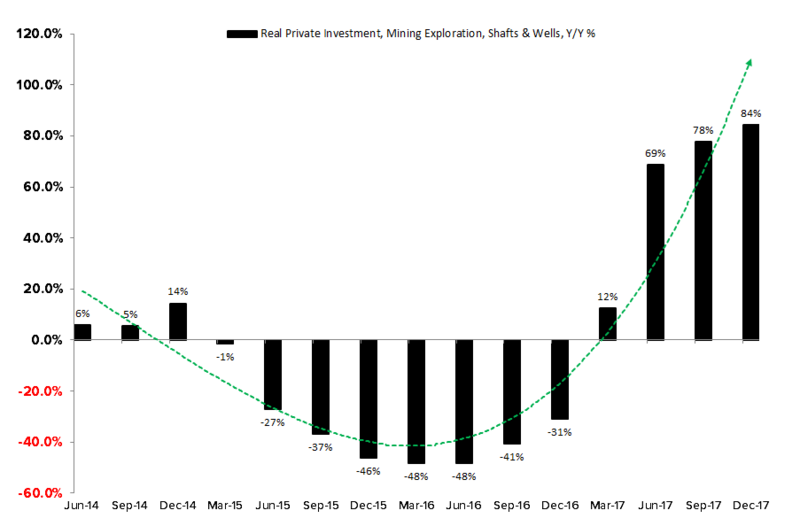 Investment growth was stronger with both energy and tech/productivity investment continuing to improve and Resi investment rebounding strongly alongside very strong new construction and sales activity. Inventories were the primary drag on Investment growth, contributing a sizeable -0.7 pts to the headline and reversing last quarters outsized positive contribution. This dynamic probably reverses again next quarter as demand remains solid and inventory-to-sales ratio’s across both wholesale and retail channels retreat. 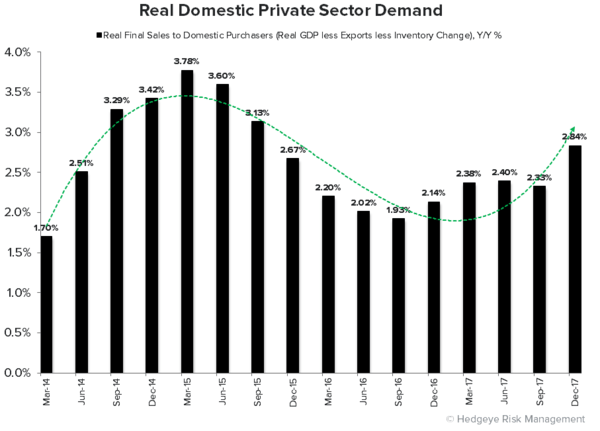 Real Final Sales to Domestic Purchasers (GDP less exports less inventory change) – which provides the cleanest read on overall, domestic private sector demand – rose to +4.2% Q/Q = the strongest level since 3Q14. Strength here won't be lost on the Fed but the soft headline will allow them to lean (rhetorically) whichever direction serves the narrative du jour. The simple net of the above is that the headline was belied by distinctly stronger internals. Growth was solid where it mattered as consumption and investment both accelerated and domestic, private sector demand was stronger than its been in years. 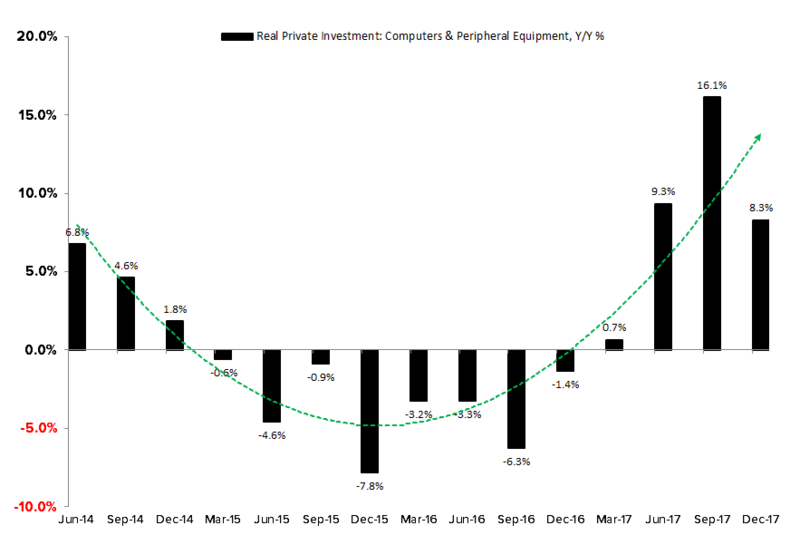 Inventories can’t be dismissed outright but it’s notoriously volatile (and likely to reverse next quarter) and the retreat in the trade balance was against the hardest comp in 4 years and very much a function of the current level of private sector demand. 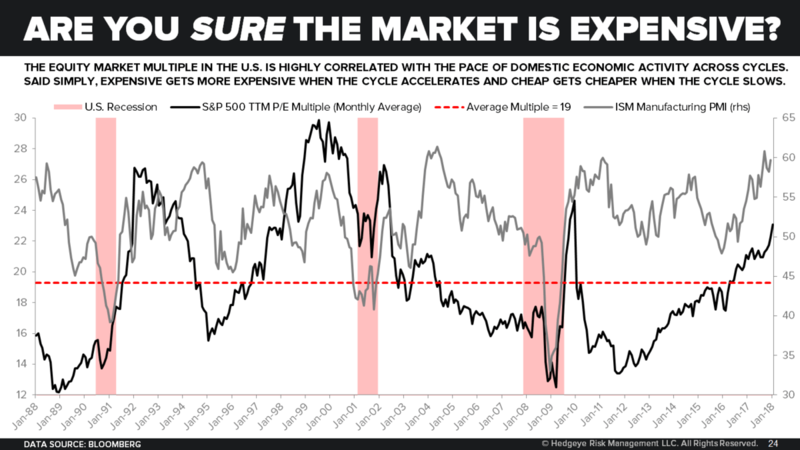 CHART OF THE DAY: Expensive Gets Cheaper!